Nice place to get a football or soccer game going. 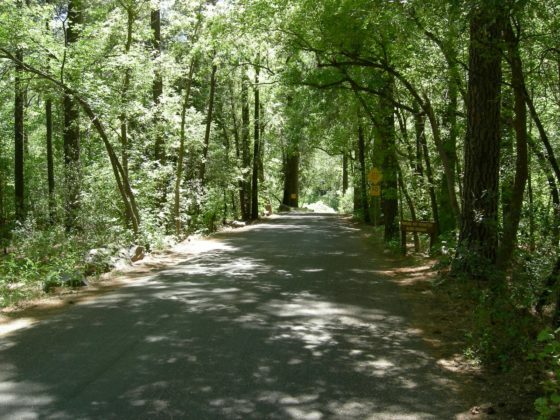 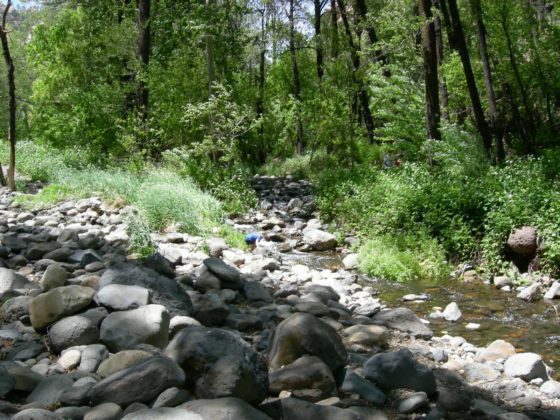 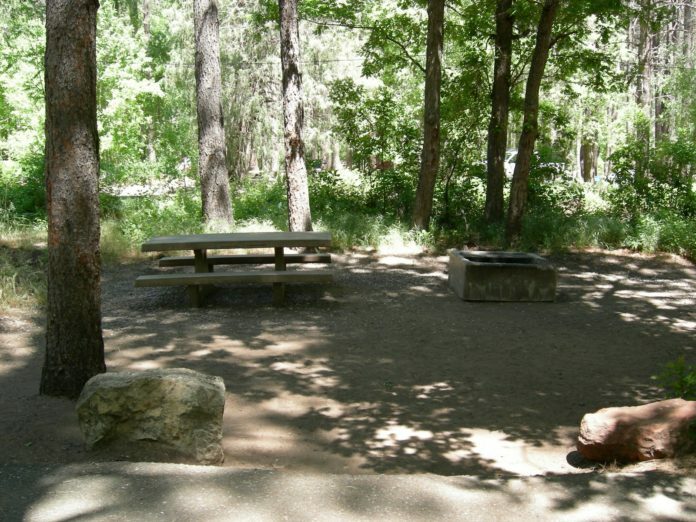 Cave Springs Campground is located at the northern end of Sedona’s famous Oak Creek Canyon, 11 miles north from the 89A turnoff in Sedona. Cave Springs is the largest campground along scenic Oak Creek. 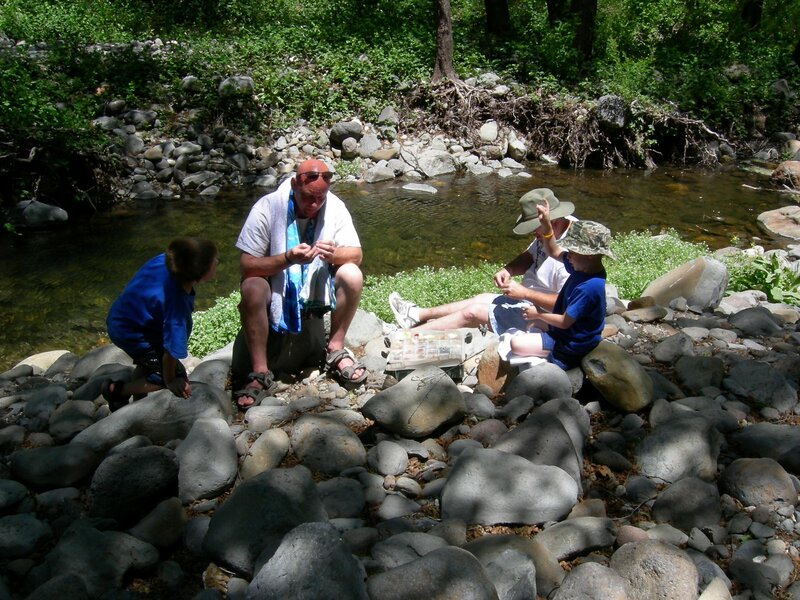 There is enough room at the campground and things to do for the kids to burn off the extra energy and fishing is right on your doorstep if you reserve a site along the creek. 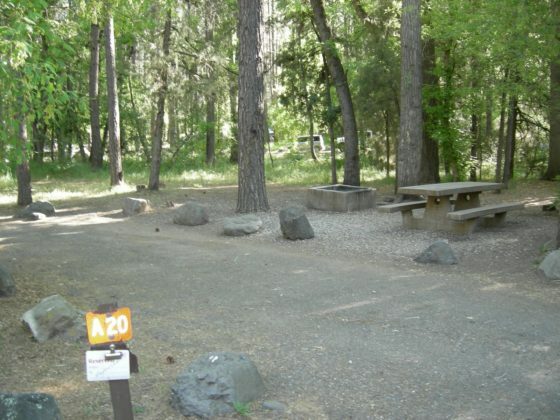 Of the 78 campsites, the entire A loop is available for reservation only. 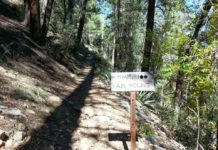 The remaining loops are first come first served. See map below. 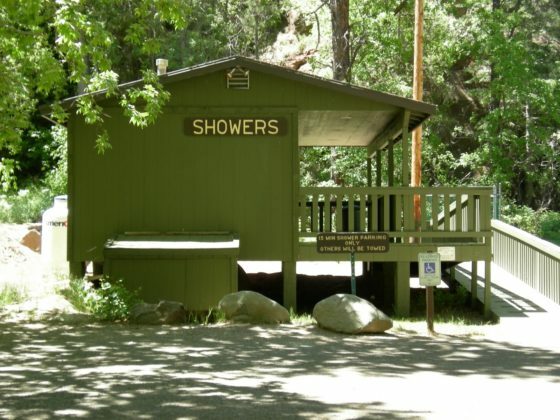 If you have forgotten anything, Cave Springs has a store that stocks the essentials. There are toys for the kids, cookware, liquid gas, beverages and candy. Ice and Firewood are both available at the store also. The additional items available are a nice addition to this first class campground. 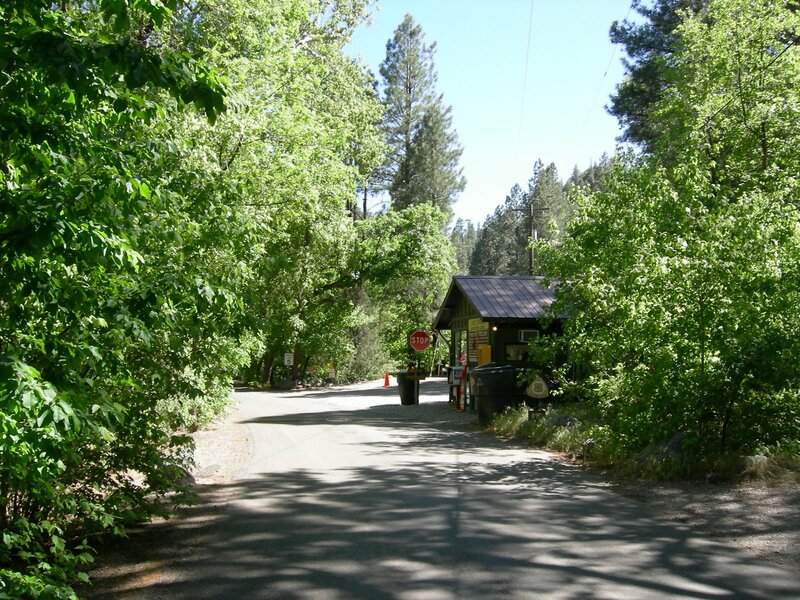 Bootlegger is a small day use area just a few miles south of the campground. 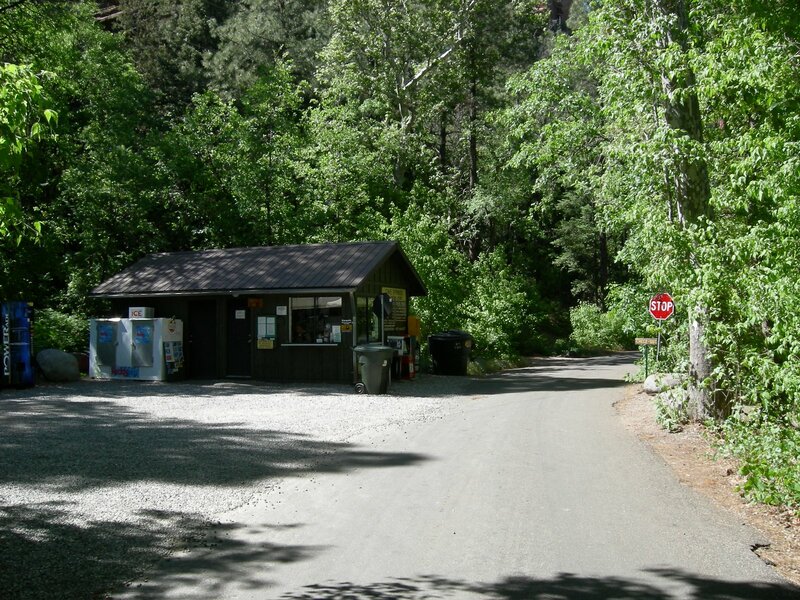 You will need a Red Rocks Pass to park in one of the units which can be purchased at the kiosk in the parking area near the restrooms. 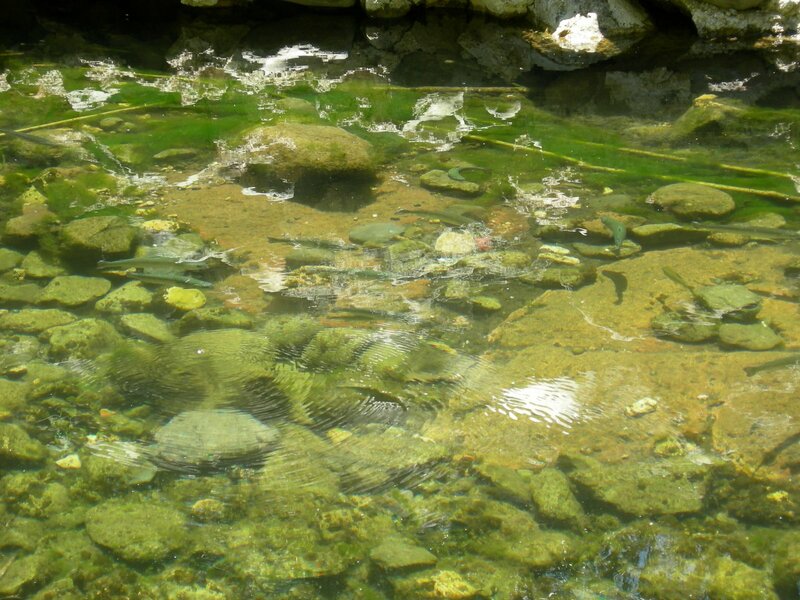 Head south down the stairs then scramble down to a nice pool that is perfect for smaller children. 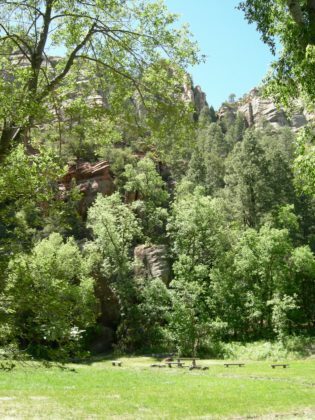 Cave Springs is located just a few miles north of Slide Rock State Park, a great place to have a picnic and enjoy the scenery. A natural slide formed by the creek lets you slide down on the slippery rocks for hours of fun. 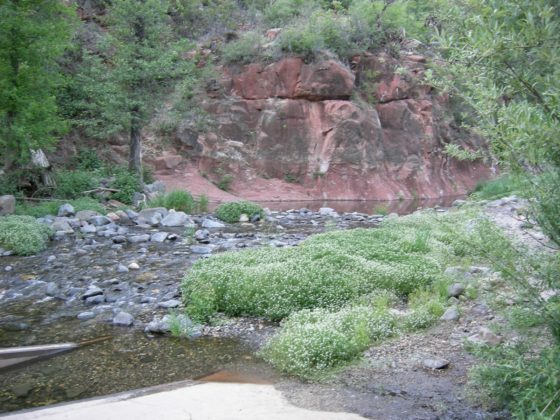 No glass containers or pets are allowed in Slide Rock State Park. Slide Rock was named one of Life Magazines top 10 swimming holes. 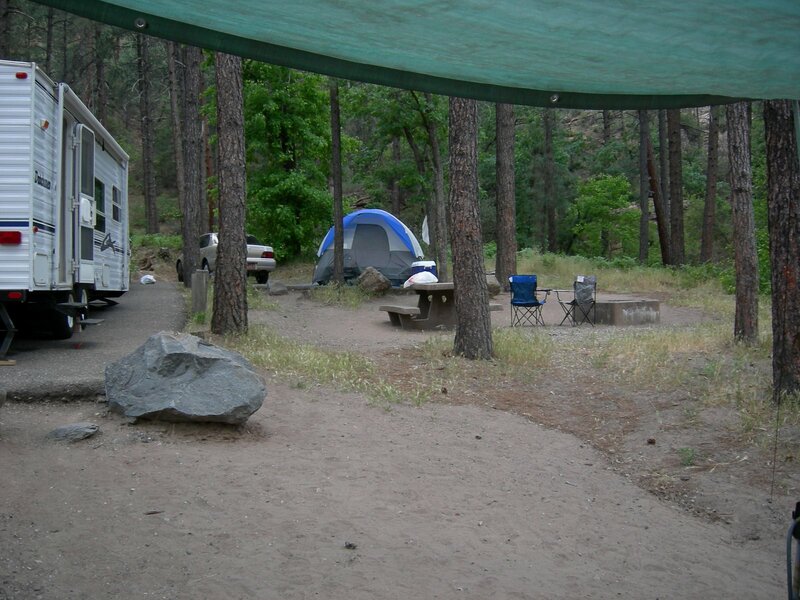 Further south check out Grasshopper Point. This is a smaller less crowded swimming hole than Slide Rock, and the crowd is limited to the number of parking spaces provided. 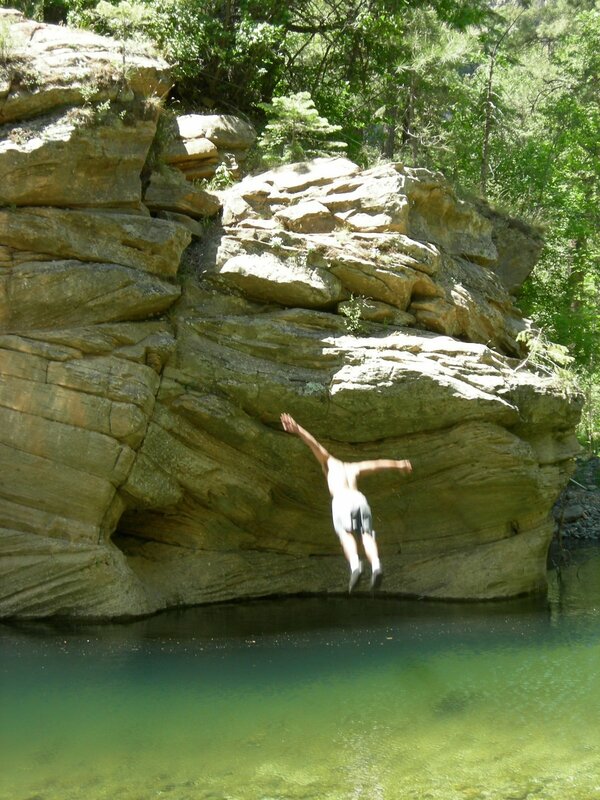 There is plenty of shade and the main swimming hole has some fantastic cliff jumping. 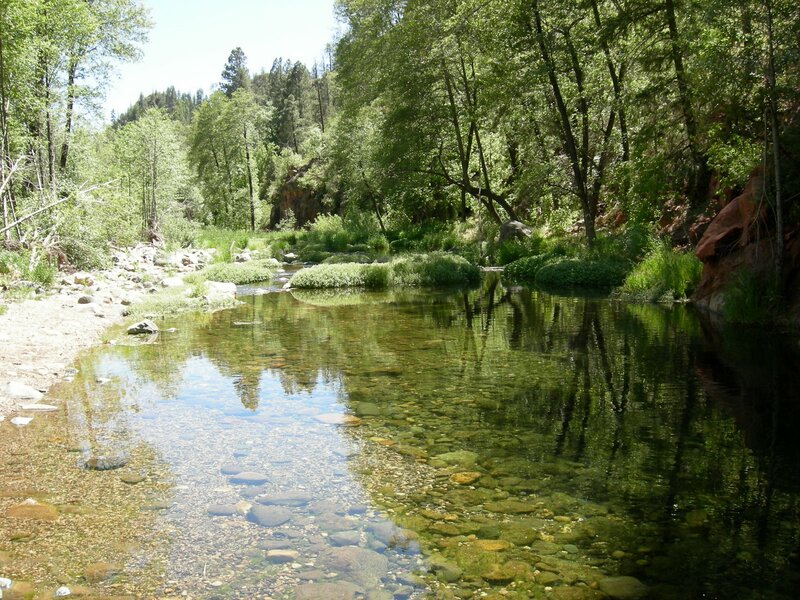 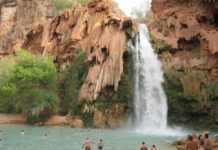 Check out Grasshopper Point on Arizona’s Best Swimming Holes. 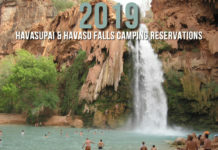 If you head south out of the campground near Campsite F9 and F10, a trail will lead you down to a couple nice pools and a great place to take the kids to play in the river (Yellow line on map). 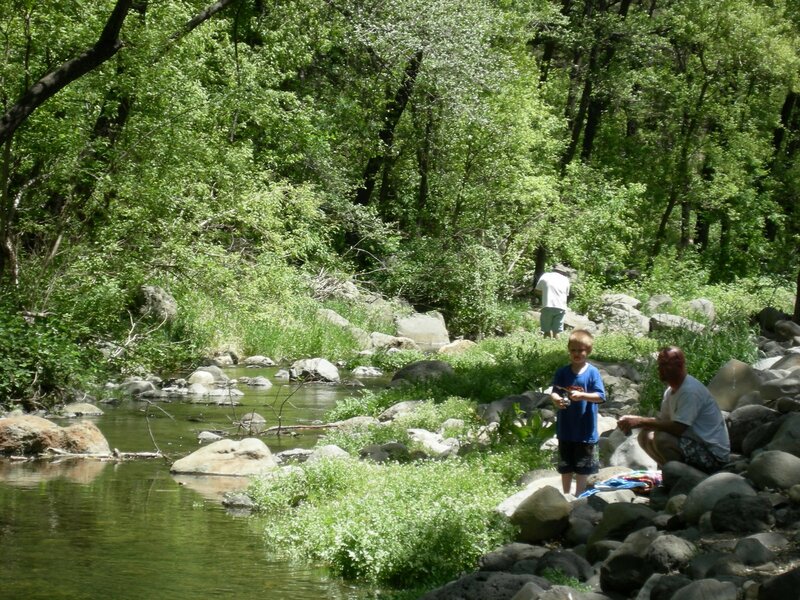 Rainbow trout are stocked weekly throughout the summer months by the Arizona Game and Fish Department . Winter fishing can be tough, but nice holdover trout bring anglers here year round. 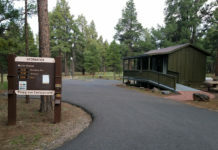 A two mile stretch of the creek from Junipine lodge to just below “Call of the Canyon” is a catch and release area, with lure and fly fishing only. 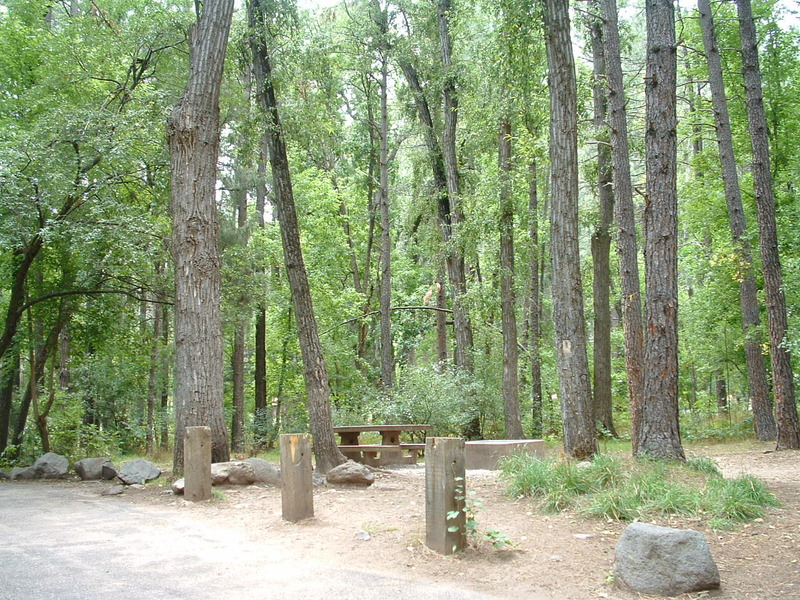 Fishing license are available nearby at the Historical Marker, Sedona or Flagstaff. 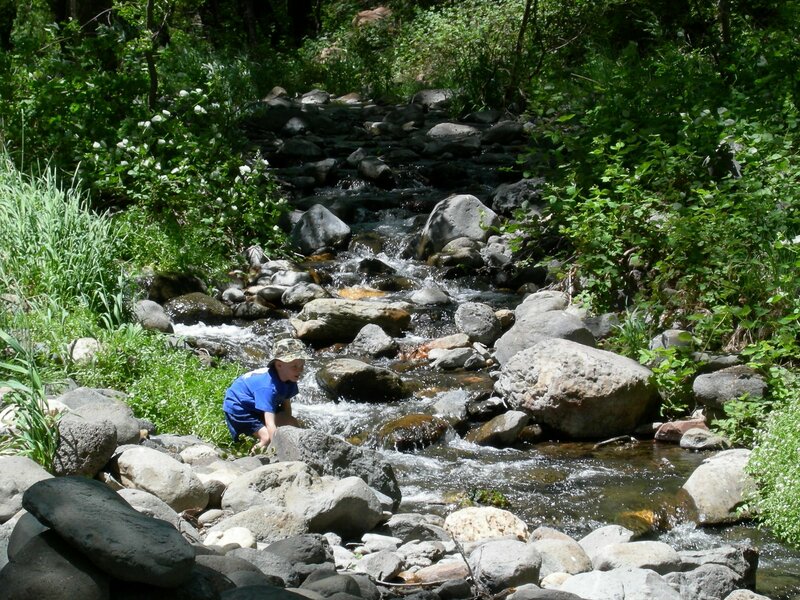 Hiking in Oak Creek is incredible. 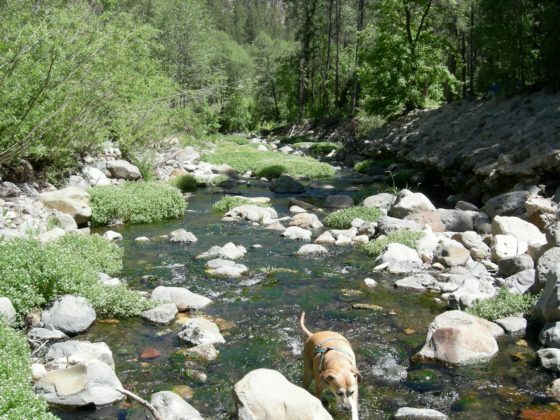 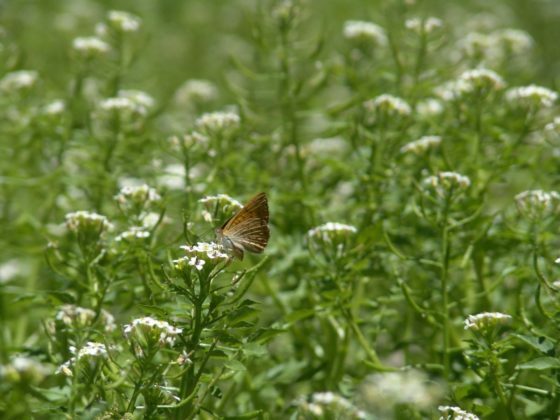 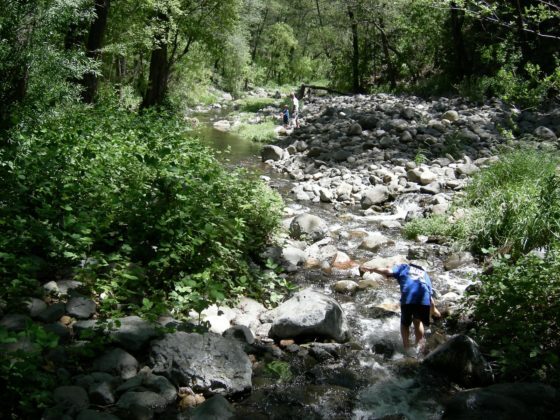 The “Call Of The Canyon” day area is just south of the campground and offers wonderful day hikes of up to 11 miles into the West Fork of Oak Creek as well as the surrounding areas. Hiking in and around the Oak Creek Area is one of the highlights of any trip to the canyon. Here are a few near Cave Springs Campground. 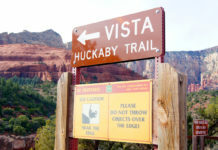 From Phoenix, take I-17 to Hwy 179, north to Sedona. 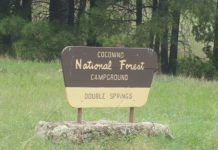 Once you reach the last roundabout at the junction of the SR 89A and the SR 179 head East on the 89A North towards Flagstaff. 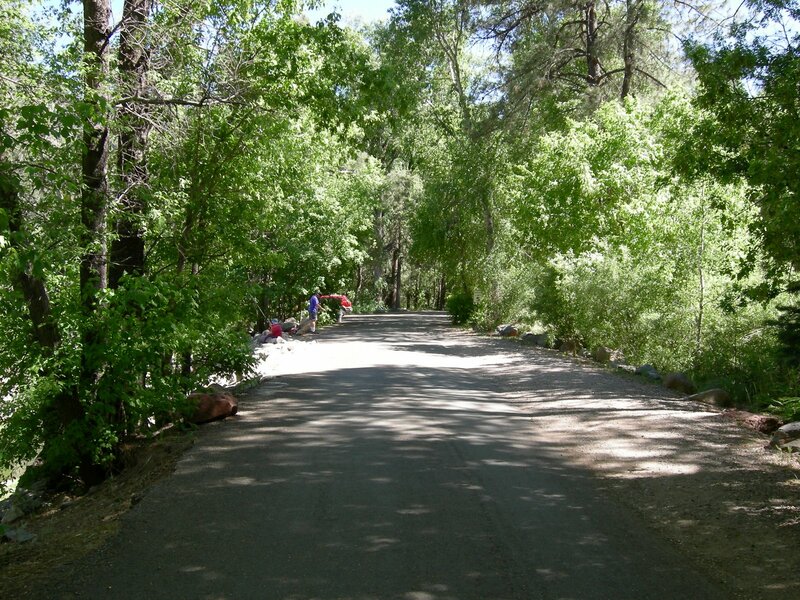 Follow SR 89A North into Oak Creek Canyon 11 miles. The campground will sneak up on you so when you pass the West Fork Trailhead (a.k.a Call of the Canyon) you will have about a mile to go to the campground on your left. If you are coming from Flagstaff on I-17, take Hwy 89A south into Oak Creek Canyon 18 miles. 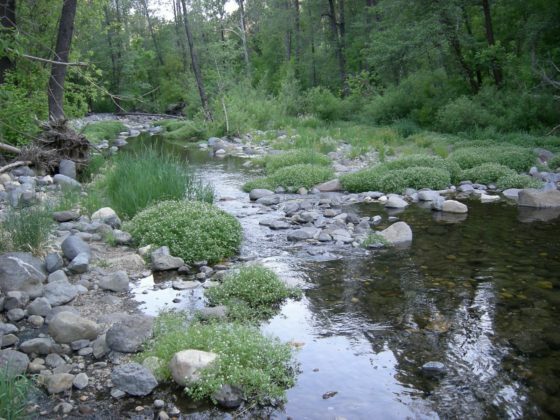 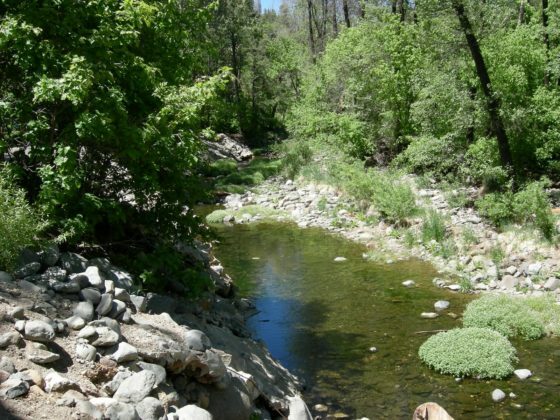 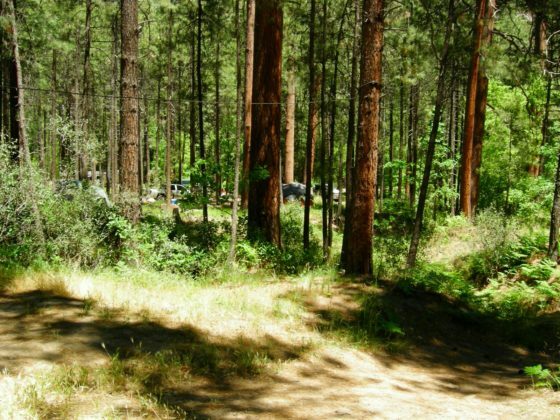 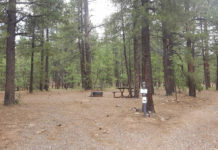 The Campground is about a mile south of Pine Flat Campground.